According to the Amputee Coalition, there are almost 2 million people in the United States living with the loss of a limb, 45 percent of whom lost their limb through some type of trauma. The amputation of a limb can be an extremely difficult experience and inherently affects victims for the rest of their lives. In some cases, limb loss may result in victims being unable to perform the tasks associated with their chosen profession, making them unable to continue in an already established career. While these individuals may be able to learn new skills and work in a different capacity, there are significant costs associated with retraining to enter a new field, as well as the loss of income that occurs due to being unable to work. Additionally, amputation injuries require intensive medical care and ongoing treatment, as well as specialized equipment such as prosthetic limbs or medical devices intended to assist with mobility issues. The medical expenses associated with an amputation injury can easily climb into the hundreds of thousands of dollars, if not more. When amputation-causing injuries or events occur because of someone else’s negligence, victims may be able to recover for their economic and non-economic losses that occur as a result. Discussing your case with an experienced attorney will help you determine whether you have a claim as well as your chances of recovering compensation for your injuries. Of course, there are many other ways that an amputation injury could occur, some of which could potentially be the result of negligence. An experienced Pittsburgh personal injury lawyer will be able to review the facts of your case and determine whether any evidence of negligence exists. These complications have the potential to have long-term effects on a person’s quality of life and ability to engage in certain daily activities. Consequently, it is important that amputation injury victims make sure that their legal rights are protected, and also that they receive the maximum settlement or award available by law. Individuals who have been involved in an amputation injury may be entitled to significant financial compensation for their injuries and other losses. 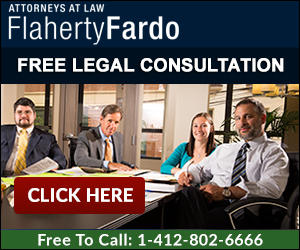 Call Flaherty Fardo today at (412) 802-6666 to schedule a free, no-obligation consultation with an experienced Pittsburgh personal injury lawyer.